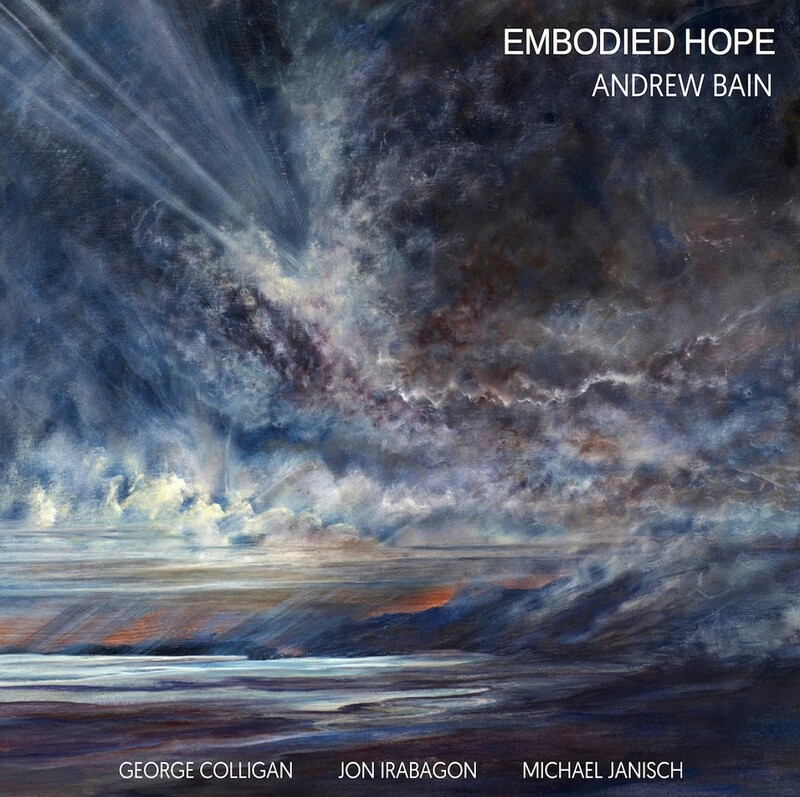 New routes in musical exploration are at the heart of drummer Andrew Bain’s episodic suite, Embodied Hope – a project with pianist George Colligan, saxophonist Jon Irabagon and bassist Michael Janisch. 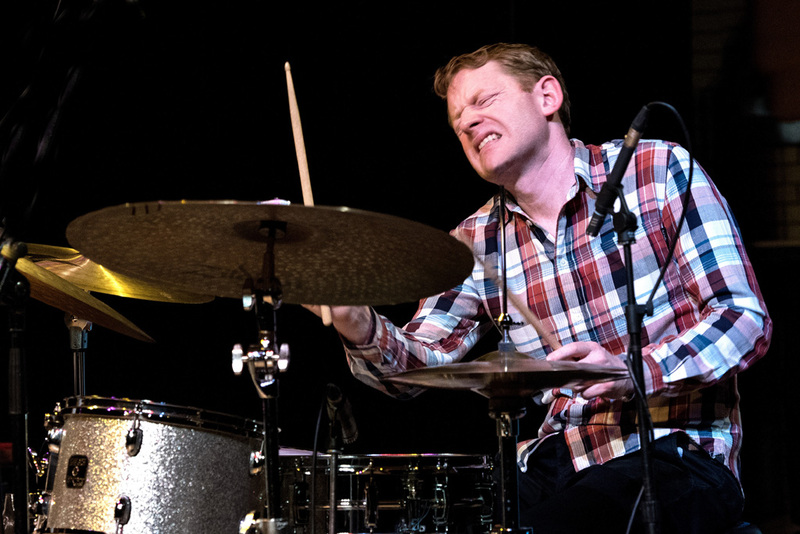 An influential percussionist and educator based in Birmingham, England (and a first-call sideman both in the UK and the States), Bain’s own research has led him to study a concept which seeks to link improvisation with the increasingly topical issues of human rights, community and social transformation. Taking jazz as a metaphor for positive change in the world, and based on seven aspects – listening, surprise, accompaniment, practice, responsibility, trust and, ultimately, hope – this work is defined both by its distinct flexibility of expression and the quartet’s ongoing appraisal of what it progressively achieves. Andrew Bain explains that, rather than counting himself as a composer, he’s a writer of music for improvisers: “Like all good music written with improvisation in mind, Embodied Hope starts with an idea and a vibe, as well as melodies, chord sequences, solo sections and as many boundaries as I want to provide. But apart from that, it’s all in flux and very much up to the band, even in terms of suite order, solo order, etc. I trust these guys with where they take things – an experimental journey evolving on the road, night after night”. Recorded on the twelfth day of a two-week tour of workshops, masterclasses and performances, the session presented its own challenge – after all, how is it possible for improvisers to decide on the definitive version of a constantly evolving work? But it’s precisely that captured moment in time from which the sparks of originality fly, whether through Jon Irabagon’s rapid sax invention in feverishly-swinging ‘Practise’, George Colligan’s typically artful Steely Dan quote in the solid groove of ‘Responsibility’ or a theme-tune-like amiability woven into ‘Trust’. Echoing the album title, driving, anthemic ‘Hope’ synopsizes what has become important to the band in this process – how they have made it relevant to themselves through their social interaction; how the concept has literally been embodied as they have memorized the music; and the positivity arising from what they fashion and develop together. “The best music that I play is with musicians I really trust”, says Bain. “Not that it’s cosy and we all know what we’re going to do, but that we’re comfortable to push each other, over and over, with every performance. When you’re in that space, there are so many things the music could be… and that’s as good as it gets”. "Bain is always a vital driver behind the kit, ever engaged and urging his fellow players on.​.. and as a composer brings a strong melodic sense to his tunes.​"
"Funky piano, paint-stripping tenor from Irabagon, sound bass (as ever) from Janisch and amazing drumming from Andrew Bain"